Product description: Expansion caps are 75mm long plastic caps designed to cap round dowels in concrete joints. Each cap contains an internal mould fluting which compresses with the movement of the dowel thus keeping the cap in place. 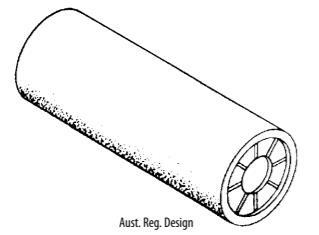 The multi-fitting cap end design allows for standard diameters of round dowels to all be accommodated in just two sizes of caps – 10mm – 16mm, and 16mm – 50mm.